Lightroom 7.2 was released today. This release is primarily about performance improvements and bug fixes although there a few minor but useful feature enhancements. Adobe are advising that you should see significant performance improvements on most computers with multiple cores. These be most noticeable on more powerful computers, especially those with six and more CPU core. However, to take advantage of the improvements you will also need at least 12 GB RAM. That being said, computers with fewer CPU cores (e.g. laptops) and more than 12 GB RAM will also see some improvement. To reflect this, Adobe have updated the system requirements to recommend 12GB of RAM, although it will still run with 4GB. By this point you may be thinking that Adobe have made similar claims in the past but when put to the test customers were left somewhat underwhelmed. So, what’s different this time? Well, rather than make an unsubstantiated claim Adobe gave some independent Photo Blogs and test houses early access to 7.2. You can read more about their experiences and findings at: Fstoppers, Puget Systems, and DPReview. In addition to above improvements Adobe have also advised that a long term and extremely frustrating bug affecting a relatively small number of customers. This bug manifested itself as an extreme slowdown over time. In some cases the application became so unresponsive that it had to be relaunched. It’s been a while coming but now you can search folder names. It operates much like collection searches by filtering the list of relevant folders down to only those matching the search criteria. It’s particular useful if you tend to use descriptive or topical names for folders. 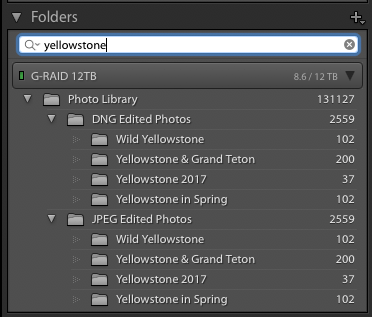 In below example, I’ve searched for folders continuing ‘yellowstone’. ‘Folder Search’ also works well with folders containing numbers or a mix of numbers and letters. For example, date based folder names. Another new folder related features is ‘Favorite Folders’. 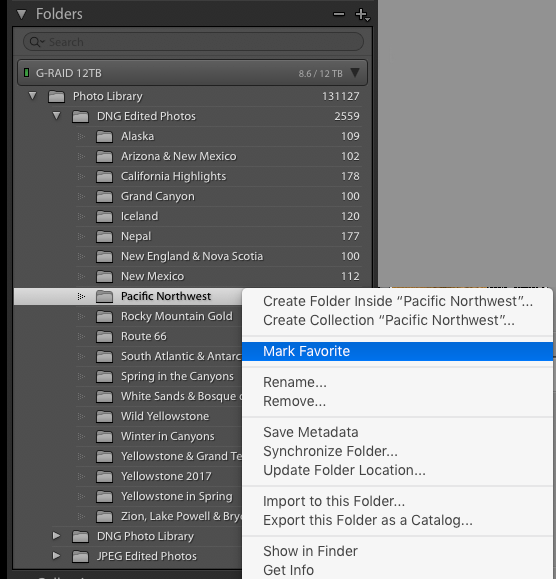 Using this this feature you can mark one or more folders as favorites by right-mouse clicking on the folder name then selecting ‘Mark Favorite’. You can also use the filter in ‘Folder Search’ to show only those folders marked as favorites. 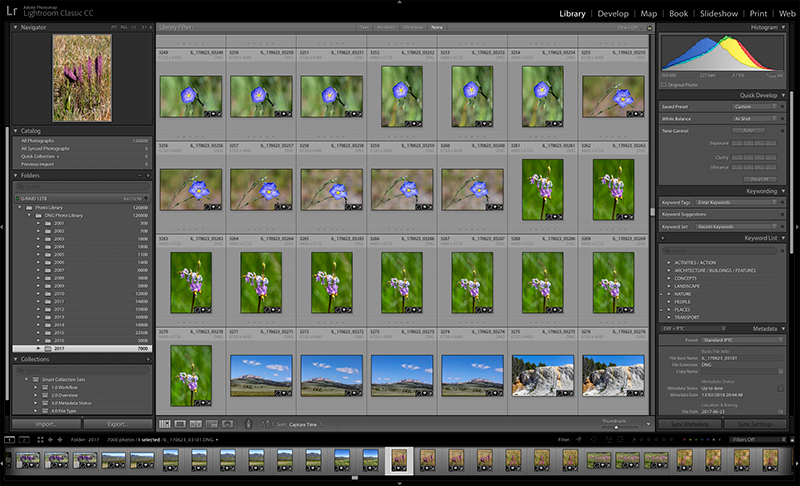 In below example, I’ve marked only the “Yellowstone” folders containing raw files as favorites. 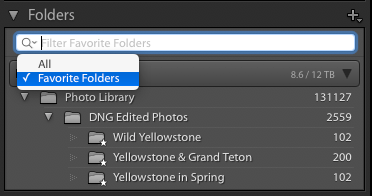 Another new feature associated with folders is the ability to create a collection or collection hierarchy from a folder or folder hierarchy. 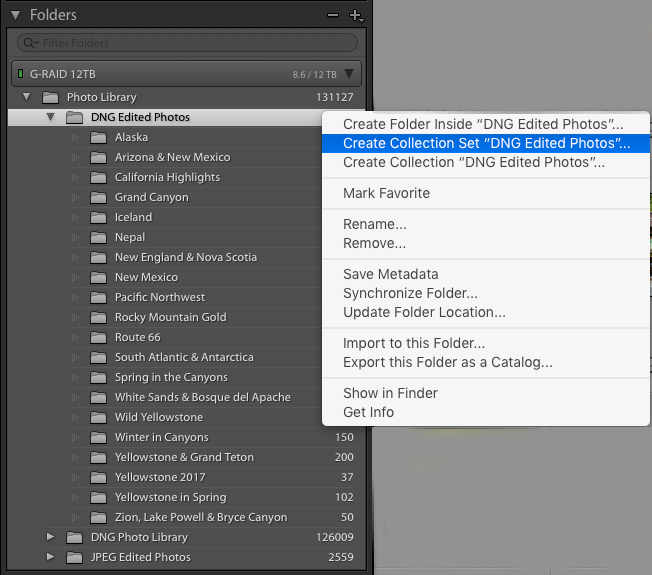 To access the feature you simply right-mouse click on the folder or parent folder and select ‘Create Collection’ or ‘Collection Sets’, respectively. The last new feature I want to discuss is the ‘Edited/Unedited’ buttons on the ‘Library Filter Attributes Bar’. Using these buttons you can filter on photos that have already been edited or are still to be edited. Above buttons are duplicated in the ‘Filmstrip Filter Bar’. The ‘Edit’ option can also be found in the ‘Metadata Filter’ panel and ‘Smart Collections’. 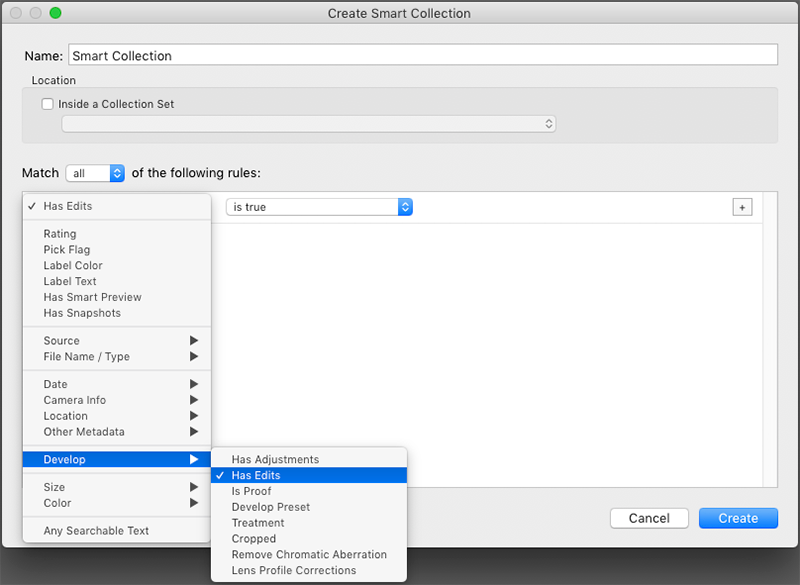 At this point it’s worth noting that the existing Smart Collection ‘Has Adjustments’ criteria does not include cropping whereas ‘Has Edits’ does include cropping. 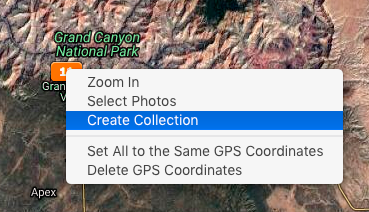 You can now add all of the photos from a specific location to a Collection. Simply right-mouse click on any pin or group of pins on the Map and choose ‘Create Collection’. This entry was posted in Adobe Photoshop Lightroom, Lightroom Classic. Bookmark the permalink.